There’s something very satisfying about hopping on a train first thing in the morning and watching the landscape go by while you sip a hot cup of tea. Scotland has a great rail network, making it easy to explore on a limited budget and schedule. Its capital, Edinburgh, is a place that is close to my heart, but having explored it quite thoroughly, I’ve also used it as a jumping-off point to visit other places. Here are five of my personal favourite destinations for day trips by train, all reachable in under an hour right from Edinburgh’s Waverley station. Colourful storefronts and pubs line the main street, looking out onto the waters of the Firth of Forth. 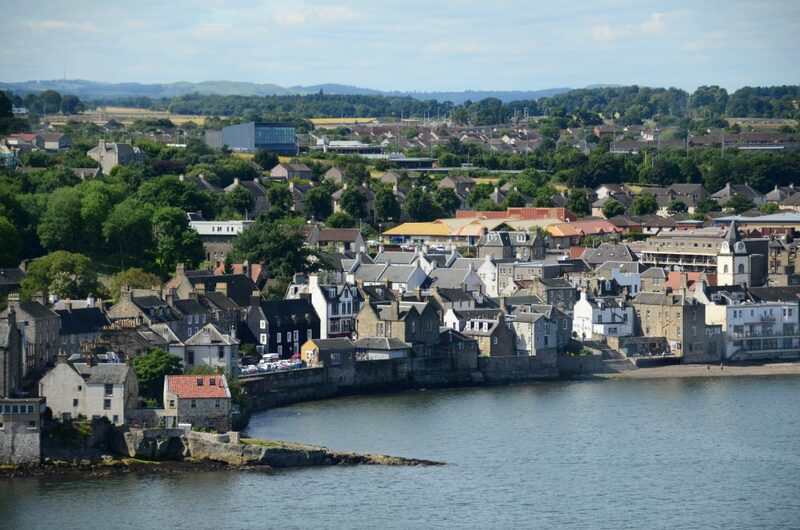 Queensferry is the quintessential seaside town and worth a visit just for a stroll along the waterfront. 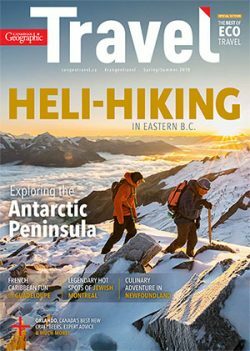 Its coastline is bracketed by two tall suspension road bridges to the west and the iconic, bright red Forth Bridge to the east, which is a UNESCO World Heritage Site. Beyond the town, there’s a quiet country road that winds along the coast, ending at the beautiful estate grounds of Hopetoun House. In the summer, this stately home and the surrounding nature trails are open to the public. Parts of the television series Outlander were filmed here, so make sure to ask the tour guides for some funny stories. Only half an hour northeast of Edinburgh, North Berwick offers an amazing seaside getaway. This postcard town has something for everyone — from golf courses and sandy beaches to the coastal nature trail of John Muir Way. 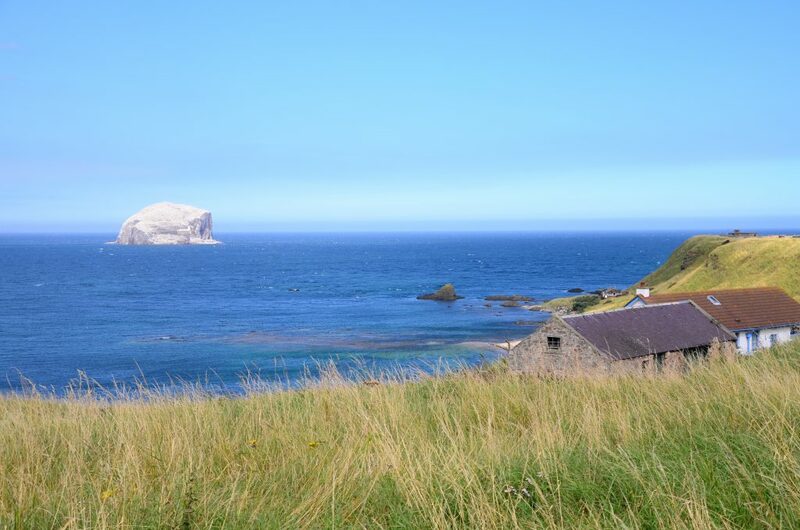 You can walk along the cliff’s edge and look out to sea or take a boat tour from the Scottish Seabird Centre to the world’s largest colony of northern gannets, which is located on the barren island called Bass Rock. A little further east of the town, you can find the stunning ruins of 14th-century Tantallon Castle. Climb to the top of the fortress for spectacular windswept views across the water. Finally, don’t leave town without first stopping at North Berwick Law, a volcanic hill that juts out from the horizon. A short hike to the top will reward you with an amazing 360-degree vista and an up-close encounter with Exmoor ponies. The royal burgh of Linlithgow is home to Linlithgow Palace, the former residence of Scottish monarchs in the 15th and 16th century. The palace ruins are well-preserved and there are several floors of rooms, halls, passageways and spiral staircases to explore. 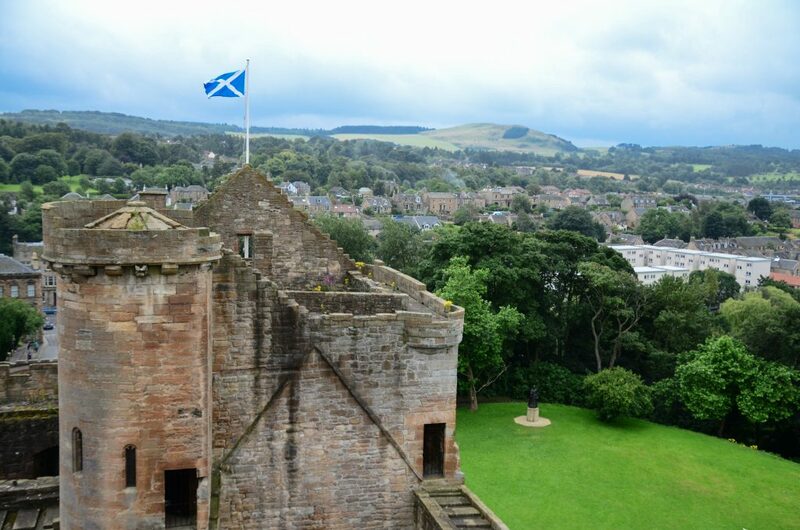 From the top of the palace tower, you can get a bird’s eye view of the town and the Linlithgow Loch. Another prominent landmark in Linlithgow is the Union Canal, a former transportation route that runs from Edinburgh to Falkirk. Today, the canal is mainly used for recreational boating and narrowboat tours, but you can also rent a bike, either in town or at the train station, and travel the pastoral pathway that runs parallel to the canal. Robert the Bruce, who ruled in the 14th century, is undoubtedly one of Scotland’s most famous monarchs. You can visit his burial place at Dunfermline Abbey, where significant sections of the 12th-century building still stand alongside the 16th-century ruins of Dunfermline Palace. 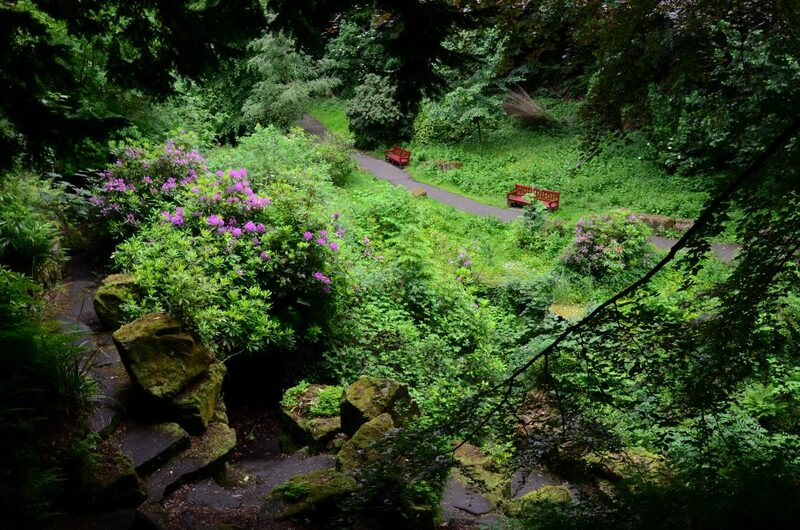 The abbey sits next to Pittencrieff Park, which is straight out of a fairytale, complete with an idyllic river glen, cobblestone bridges and tiny grottos. Grab some food in town and head into the park for a picnic. Dunfermline also has several other historic sites, including the Andrew Carnegie Birthplace Museum, where you can learn about how Andrew Carnegie became a world-renowned industrialist and philanthropist. The town of Stirling is just under an hour away from Edinburgh and has a castle to rival the capital’s. 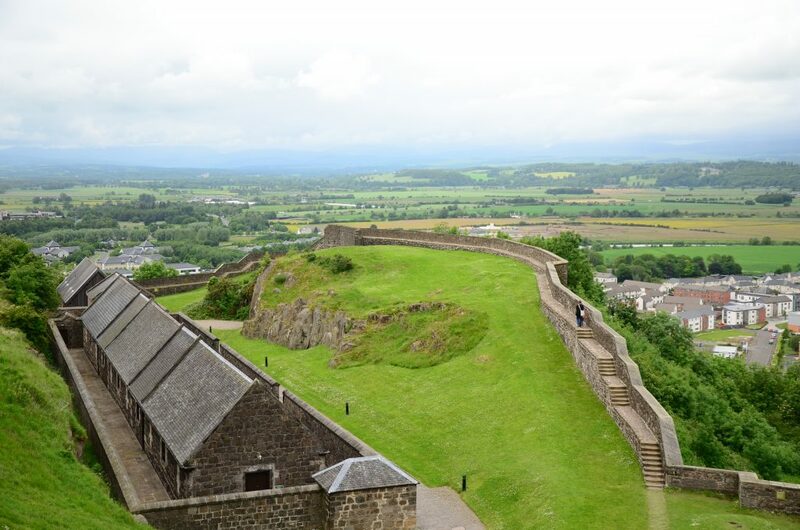 Rising up over the town on a volcanic crag, Stirling Castle has a long history as both a royal palace and a fortress. Mary, Queen of Scots, was crowned at Stirling. And because of its strategic location as the gateway to the Highlands, the castle has been under siege at least eight times. The castle grounds, both inside and out, are extensive, so you can easily spend the entire day exploring. However, if you have time, wander around the old town or take a quick bus ride over to the impressive National Wallace Monument, which overlooks the Forth Valley.